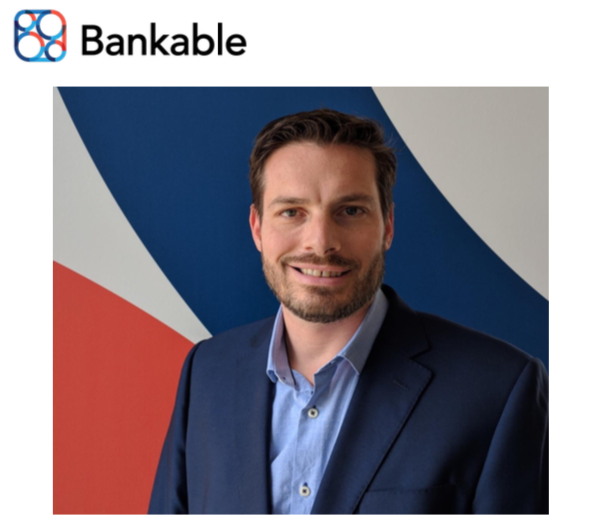 Level39 member Bankable welcomes Guillaume Flies as Head of Advisory, reporting to the Bankable CEO and Founder Eric Mouilleron. Guillaume is a seasoned treasury expert who brings with him more than 15 years of Treasury and Cash Management experience. Guillaume has served as Global Head of Collections at BNP Paribas between 2013 and 2017, where he led strategic projects on Virtual Accounts and contributed actively to set-up innovative cash management solutions such as CoBo (“Collect-on-behalf-of”). He was also instrumental in positioning BNP Paribas as a leading advisory cash management bank, speaking at some of the most prestigious international conferences across the globe (EuroFinance, UniverSwiftNet, etc.) In 2015 he received the BNP Paribas Product Manager of the Year award. Bankable is an enabler of innovative, global payment solutions providing “Banking as a Service”. Their virtual account management platform is available in white-label or via APIs enabling any regulated or non-regulated organisation to deploy payment solutions – including virtual account services, e-ledgers, virtual & plastic prepaid card programmes, and e-wallets & light banking solutions. Previously Bankable has taken part in EU Commission Vice President’s Roundtable to discuss how the EU is accelerating its Capital Market Union project.